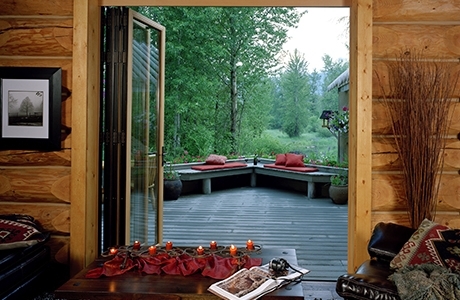 Anyone attracted to staying in a bed-and-breakfast typically wants to "get away from it all". This is particularly true for a place like Run of the River, a B&B in the Pacific Northwest. Nestled along Washington's Icicle River in Leavenworth, the property is surrounded on two sides by a Department of Wildlife bird refuge. "It's a birder's paradise," boast the owners, "where guests regularly spy great blue heron, osprey, owls, kingfishers, geese and a variety of ducks." The same land is also home to deer and coyote, and even bear and elk are regularly sighted. NanaWall was able to help Run of the River bring its clientele closer to nature – and vice versa. The side of the residential structure that faces the widest vista had incorporated a deck for observation, but suffered from inadequate transparency. This left the interior largely cut off from the views of the forest, the nearby glen, and the river – all invaluable spots for sighting wildlife. "We were looking to strengthen the connection between the indoors and outdoors," recalls Dennis Erwood, AIA, LEED AP BD+C, a principal at Studio Meng Strazzara and lead for the firm on the Run of the River remodel. 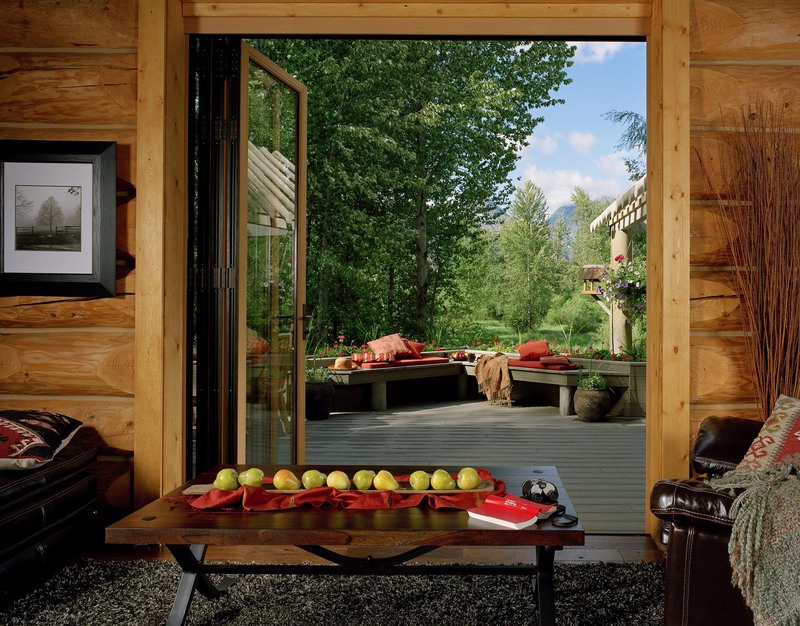 "The existing wall and windows did not take advantage of the beautiful view from the main living space." "We specified NanaWall because of the high quality of the product and the ease of operation, the hardware works beautifully." 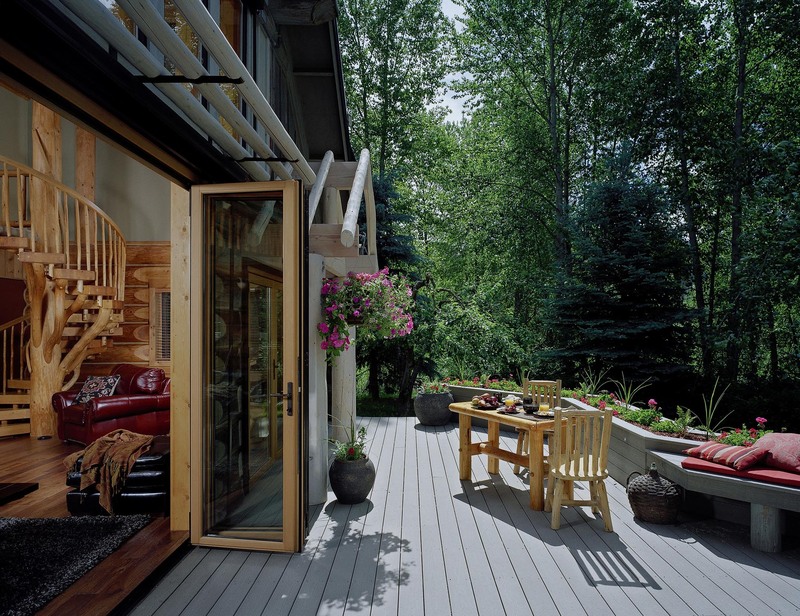 To strengthen that connection and to reflect and enhance the rustic charm of the B&B, Erwood's design included widening the opening in the wall between the living room and the deck. Erwood and his team specified NanaWall's WD65 Wood Framed Folding System, with a NanaScreen add-on to keep out mosquitoes. The team recommended the system over NanaWall's competitors largely because of the product's quality construction and smooth, simple operation. 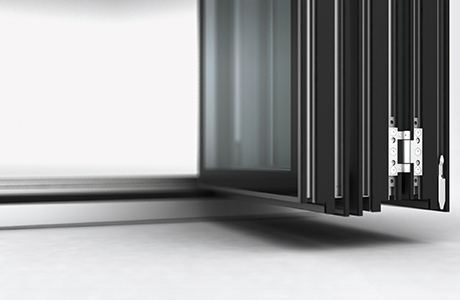 The WD65 system's panels provide spectacular views through the vast glass opening even when closed. 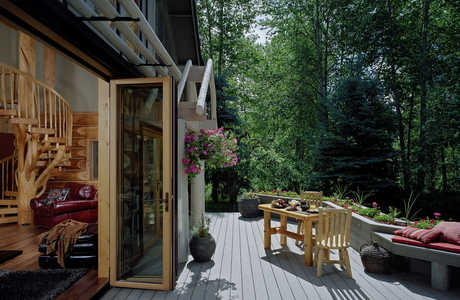 When the weather is good, the doors can be swept to one side, providing entirely unobstructed views through. And there is no need for a pocket or bay to stow the panels, as many other systems require. "We wanted to create a seamless physical connection," Erwood confirms, "to make the interior and exterior spaces feel as one." The choice of the WD65 NanaWall system helped accomplish this goal in not one, but two ways. 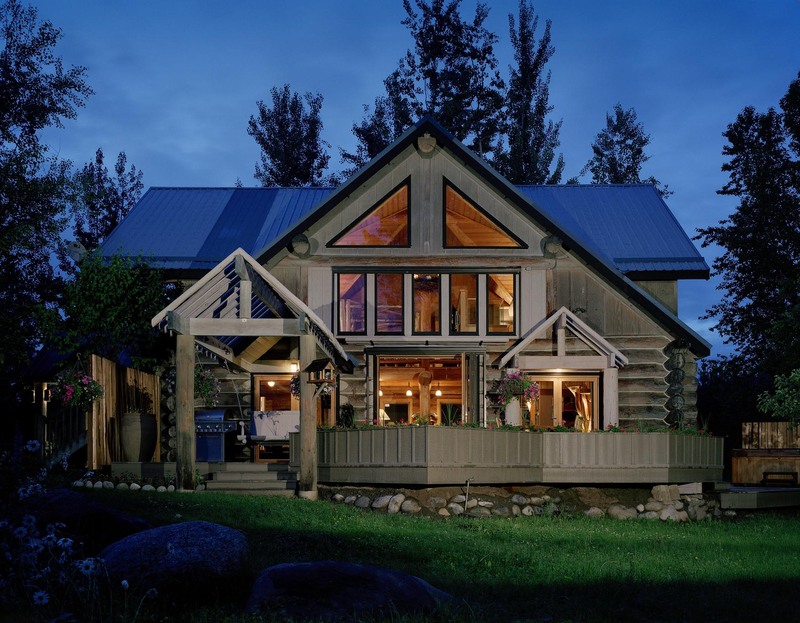 It delivers the visual connection to the surroundings – open or closed – and the wood framing ties the system aesthetically to Run of the River's rustic, log-cabin look. With six different wood finishes available for exterior applications, NanaWall's system stood out among comparable products for tailoring the solution to the project's goals. But for Erwood, the real selling point was NanaWall's construction. "We specified NanaWall because of the high quality of the product and the ease of operation," he says. "The hardware works beautifully." Erwood affirms that he would recommend to other clients and colleagues that they specify NanaWall in their projects. In fact, Erwood has used NanaWall again, in his capacity as leader of the firm’s Education Studio. After the success of Run of the River B&B, says Erwood, "I designed Robert Frost Elementary School for the Lake Washington School District to include 24 NanaWall wood-framed panels." Used in the school's interior, the system creates flexibility and shared learning spaces with strong visual connections. Meanwhile, Run of the River's lodge enjoys a newfound, powerful connection to its surroundings at all times of year. 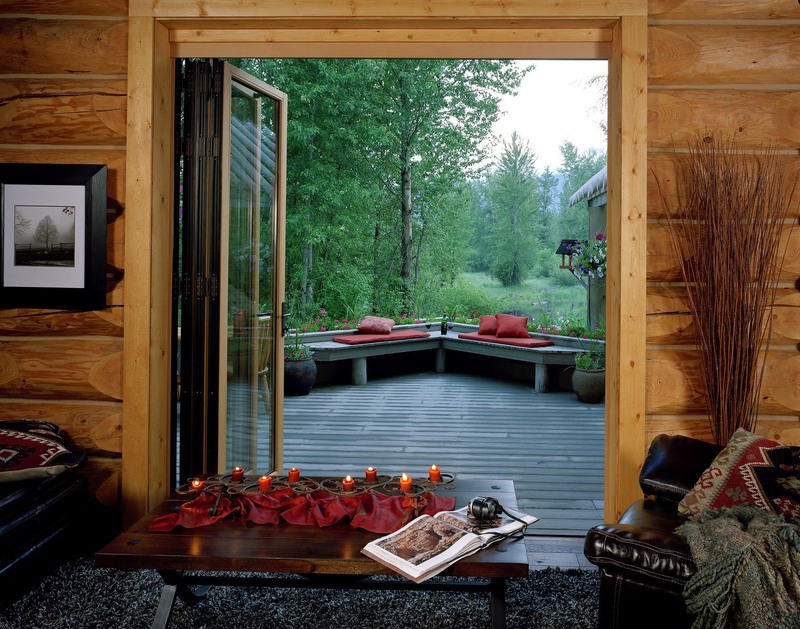 And in fine weather, guests in the lodge living room can enjoy the sounds and sights from the couch as easily as from the deck on the other side of the wall.